The rock garden at Untermyer Park and Gardens in Yonkers, New York is one of my favorite spots to take beautiful wedding photographs. This gem of a location is situated just 20 minutes north of NYC. I often suggest it to my couples who don’t want the hassle and crowds of using New York City’s Central Park for their wedding photography. The rock garden is just a few short steps away from the main parking area outside The Walled Garden. The area inside The Walled Garden is a wedding photographer’s paradise. Long walkways lead to small bridges over the many reflecting pools. Dramatic architecture rises out of the grounds in the form of classic pillars and columns. It’s pretty tough to take a bad picture here if you know what you’re doing. 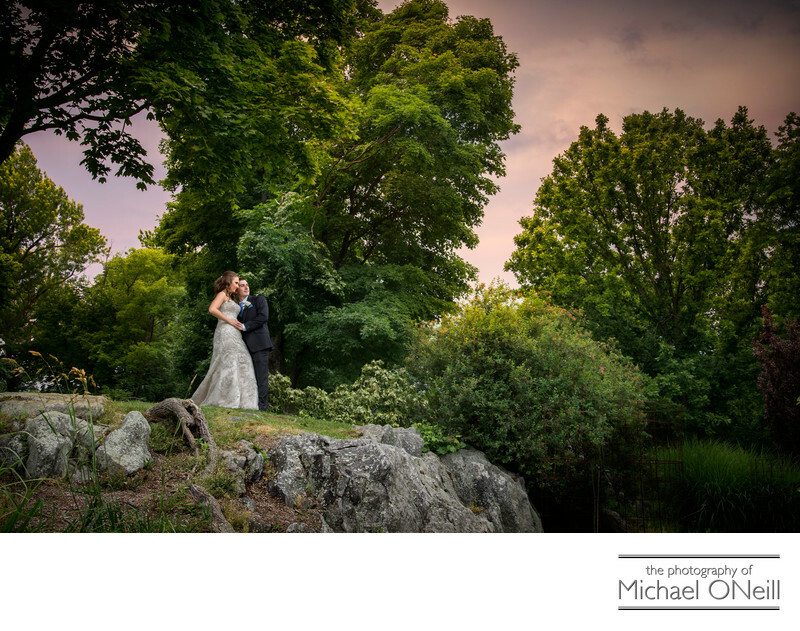 Choose a wedding photographer who is experienced working here and you’ll be sure to get the most out of this incredible landscape. Be sure that your chosen wedding photographer is accompanied by a skilled lighting assistant as the sun-drenched gardens pose difficult lighting conditions to the average photographer. The reward, though, is worth the effort...some of the most beautiful and dramatic wedding photographs ever.